Chicago apartment-hunters, are you ready for the newest game changer? 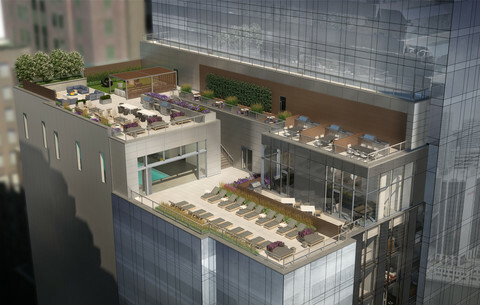 Meet OneEleven, the ultramodern high-rise apartments being constructed in downtown Chicago. The luxury building is slated to open to renters on July 1st, but people are already buzzing about the newest residential venture by Related Midwest. Nestled in the northern section of the Loop – on the corner of Clark Street and Wacker Drive – directly overlooking the Chicago River, OneEleven will offer renters easy access to the best of both worlds. Residents will be steps from the bustling Loop and all of its world-class business opportunities, while also enjoying close proximity to premier River North dining and nightlife, Michigan Avenue shopping, Millennium Park, and easy access to CTA buses and trains. The centrally located apartment complex is truly in the heart of the action. With OneEleven W. Wacker, convenience is of utmost importance. Whether you’re looking to rent in a building with a brand new fitness center, a space to relax, or even a place to host a party, this luxe high rise has it all. 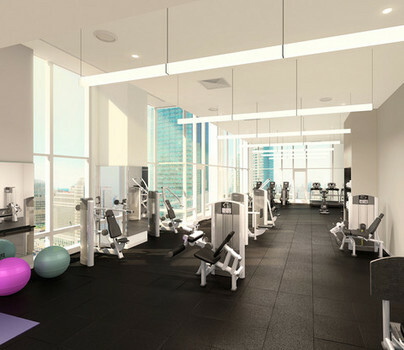 Club OneEleven will offer 30,000 square feet of state-of-the-art amenities, including a private gym, full-service pet spa and dog run, technology bar, indoor spa pool and outdoor terrace. It’s hard to believe you’d ever want to leave. We all know beauty isn’t just skin deep. 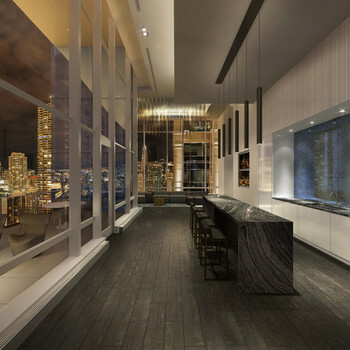 OneEleven’s luxury apartment rentals will also offer stunning interiors. Units feature dramatic 9-to 10-foot ceilings, wide-plank flooring, a full-size washer and dryer in every residence, and floor-to-ceiling windows boasting spectacular views of the Chicago River and city skyline. Whether you’re a gourmet chef, or simply enjoy the aesthetic of a beautiful kitchen, it’s easy to see the quality throughout. 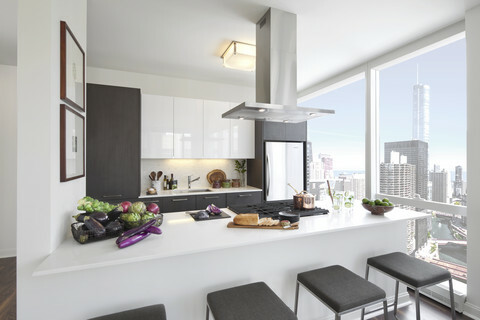 Custom-designed kitchens feature sleek stainless steel appliances, quartz countertops, garbage disposals, gas range stoves, and high-gloss Snaidero cabinetry. Currently pre-leasing, the high rise will offer studio, convertible, one-, two-, and three-bedroom apartment homes. Rental rates are competitive, with studios starting at $1,695. OneEleven is pure luxury from the moment you walk in. Aiming for LEED Silver certification, this game changer is a downtown rental opportunity to be reckoned with.